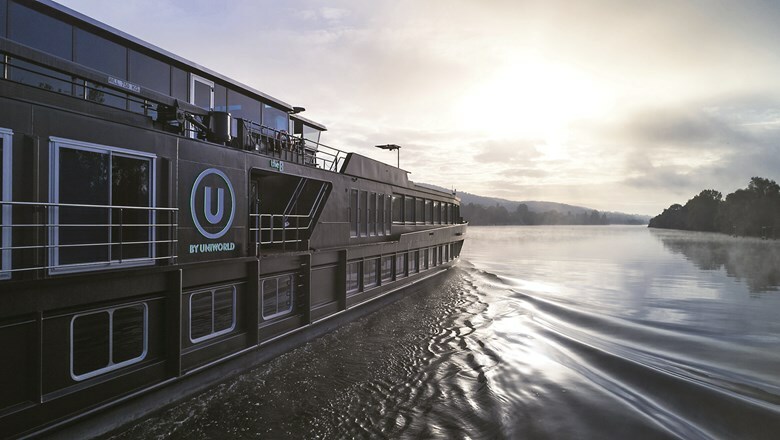 U by Uniworld’s decision to pull one of its two millennial-focused ships, the B, out of service for a season and reposition it from France’s Seine to more popular Central European waterways raised questions anew about whether creation of the brand for young travelers was a bad idea or a smart long game. Travel adviser and river cruise specialist Pete Larson, who owns the River Cruise Guru agency in North Dakota, has been a skeptic from the start. “As I stated when U by Uniworld was announced, I never thought it was going to work. The demand is just not going to be there,” he said. “My opinion and experience is this: Millennials are completely different traveler types than their predecessors. They are at a different stage in their life than the current river cruise demographic. No matter how hard the river cruise lines try to bring in younger travelers, it’s never going to be near the demand that the older generations bring. “It seems like an idea that has promise, but it may be a bit before its time,” said Chris Davidson, executive vice president of insights and strategy at MMGY Global, which does extensive research on the travel habits of Americans of all ages. “In the meantime, it’s going to require a significant investment in marketing and brand building to overcome a fairly well-ingrained perception about river cruising” being for older people. And while it will likely be at least a few years before we know who’s right, the changes do underscore the challenges companies — and in particular, river cruise lines — face in their quest to win over this young, sometimes puzzling, digitally focused but very diverse generation of travelers. Unique is certainly what U is striving for. And part of the reason the company is not rushing to reposition the ship this year, Uniworld Boutique River Cruise Collection CEO Ellen Bettridge said, is to develop active and interesting itineraries that are different from those offered on Uniworld’s fleet of more traditional river cruise ships. The Seine, she said, simply didn’t have the options or the demand that Central Europe does. She said that sales and momentum for the brand are growing. But the cancellation of the B’s second season comes at a time when CLIA reports that river cruises are one of the hottest trends in the cruise industry, with 53% year-over-year growth on the most popular rivers, the Rhine, Moselle, Danube and Elbe. Davidson said MMGY’s latest Portrait of American Travelers study shows 56% of millennials want to try cruising in the next two years, but the research does not differentiate between river and ocean cruising, which is viewed more as a product for travelers and families of all ages. One of the reasons it is so important for the river cruise industry to shed the perception of being primarily for older travelers is because millennials use their vacations as social currency, as a way to brag or make their friends jealous. Another interesting wrench, Davidson said, is that the MMGY research shows 55% of millennials are interested in a vacation with options for children — more than any other age group. “Being the first means that we’re not only inventing an entirely new sector of the industry, but we’re quite literally in ‘unchartered waters,'” she said in announcing the change.